We’ve had a nice drop down on the DOW. Let’s take a deeper look at the daily and weekly time frames. 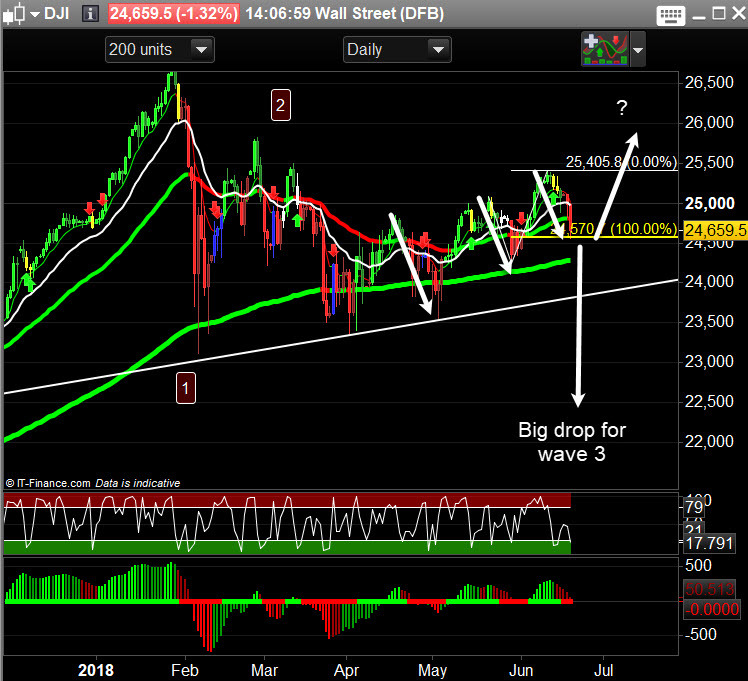 I’ll aso cover what my years of experience has seen with symmetrical triangles, ending diagonals and channels and how we can apply this to the DOW. 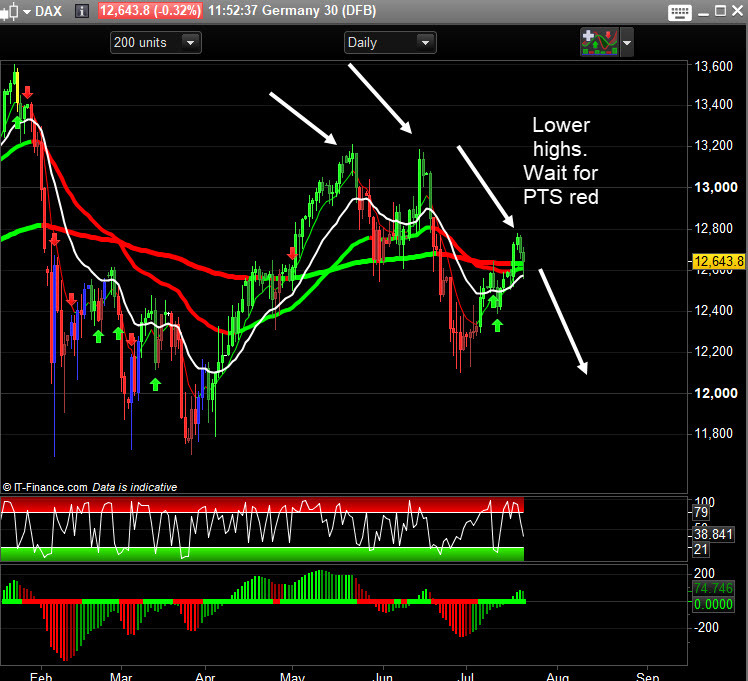 We still have price targets below but the price action has been sideways and slow today. 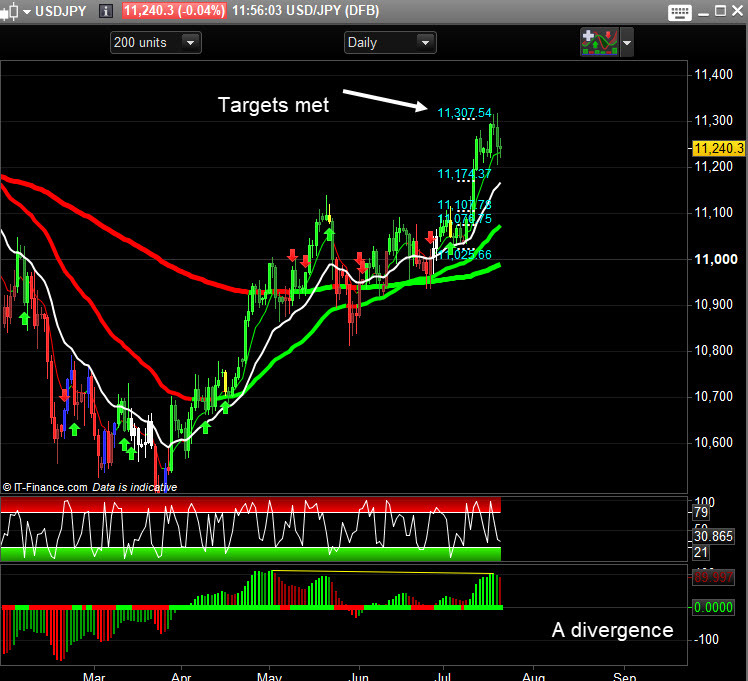 We have met the profit targets on the PTS and holding here at these levels. Trail your stop order. The ending pattern we discussed produced some nice profits this morning. Is this a much bigger move in the bigger picture. We have a lot of support to get through but we think it is. We have seen some selling pressure this Friday morning. 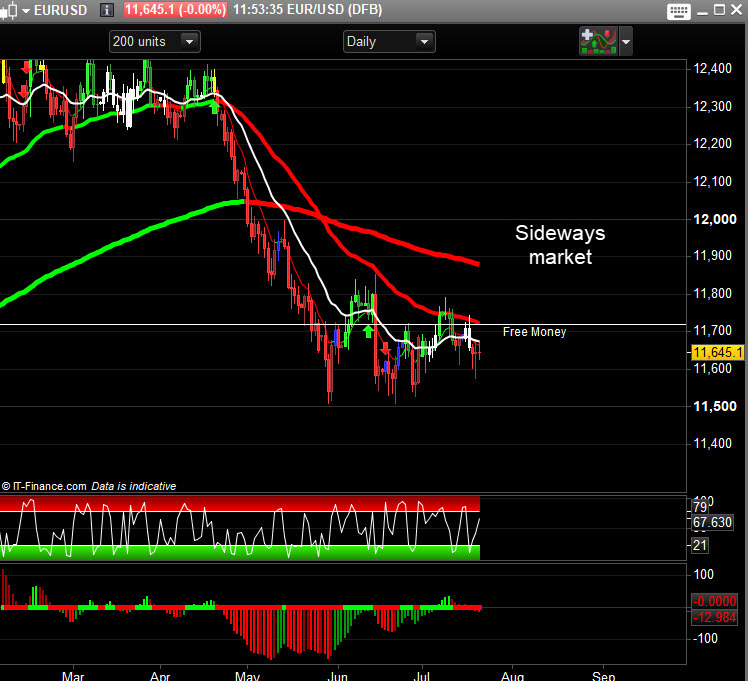 The Daily could be making a lower high. Wait for PTS red signal. 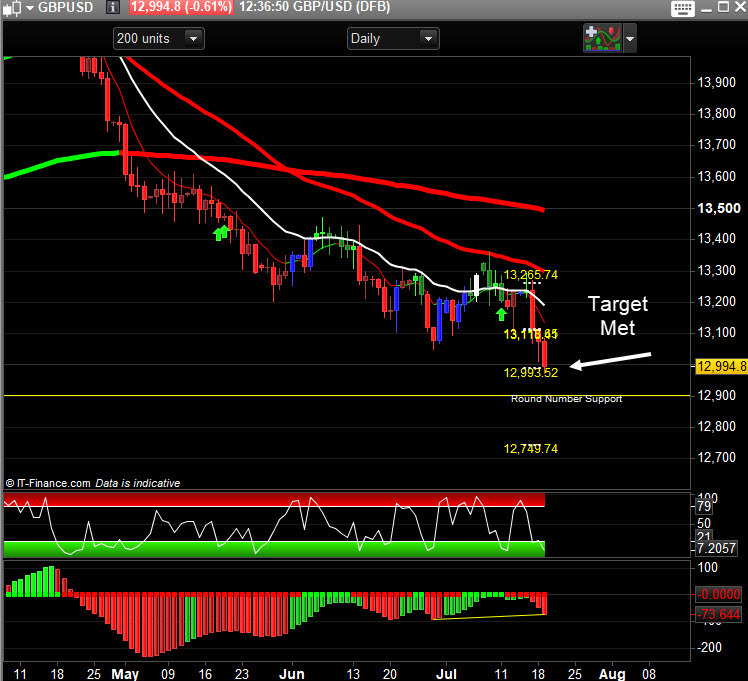 Targets met and a potential pullback coming. 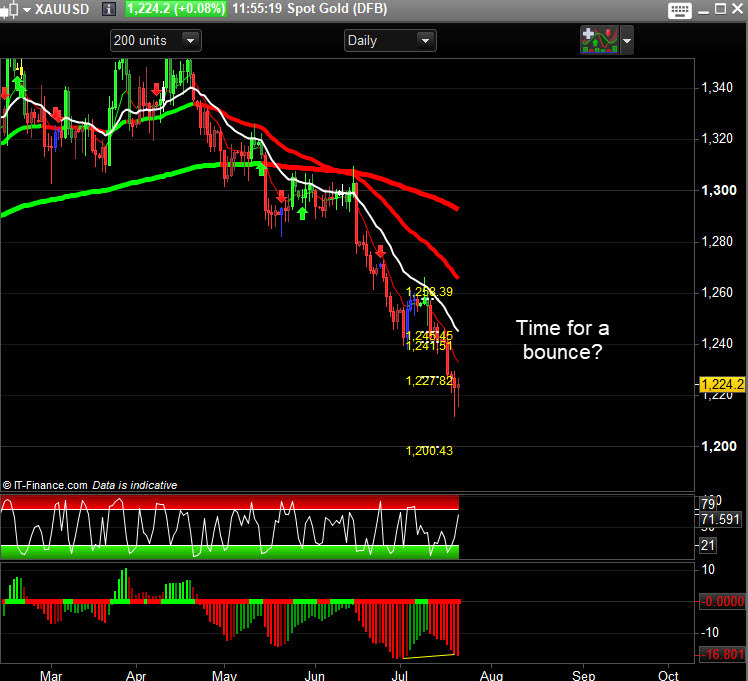 Gold bounced at the 1212 support mentioned on Thursday. Do we have more upside in this bear market?